Maggie Sottero creates extraordinary gowns that turn every bride’s vision into stunning reality by designing a diverse range of innovative and captivating styles. 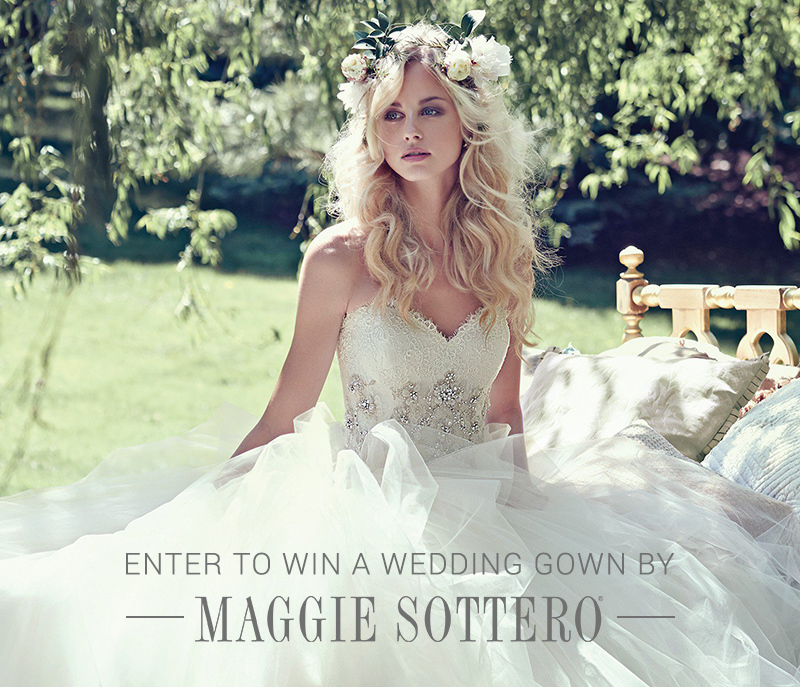 Don’t miss your chance to experience the magic – enter here to win your choice of a gown by Maggie Sottero and walk down the aisle in the wedding dress of your dreams. To view the Maggie Sottero Collection, visit our Wedding Dress Gallery. Giveaway ends April 30, 2016. Winner announced May 18, 2016.